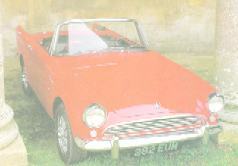 "Your source for classic car information"
Do you sell Sunbeam parts or services? Instructions for sending photographs of your car for sale. If you are a supplier of Sunbeam parts or services you can advertise on this page and/or others on this site.